ALBANY — Attorney General Eric T. Schneiderman of New York asked Gov. Andrew M. Cuomo on Monday to immediately grant his office the power to investigate and prosecute killings of unarmed civilians by law enforcement officials. Mr. Schneiderman also challenged state legislators to pass new laws to repair public confidence in the criminal justice system, which he said was badly damaged after grand juries in Missouri and on Staten Island declined to bring criminal charges against officers in fatal encounters with unarmed black men. But he seemed unwilling to wait for new powers to investigate the police in the event that another killing occurred before new laws were passed. “When the trust between the police and the communities they serve and protect breaks down, everyone is at risk,” he said. The grand jury’s decision not to indict in the case of Eric Garner, who died after a police chokehold during an arrest on Staten Island in July, has renewed and strengthened calls for special prosecutors to handle such cases. 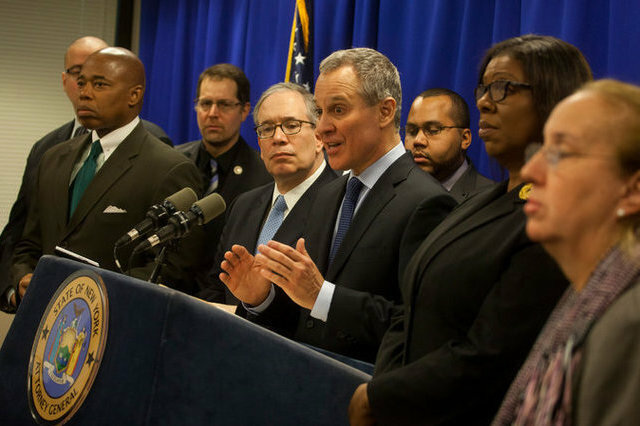 While Mr. Schneiderman was joined by local and state political leaders during his announcement in Manhattan, the prospects for quick legislative or executive action seem murky at best. 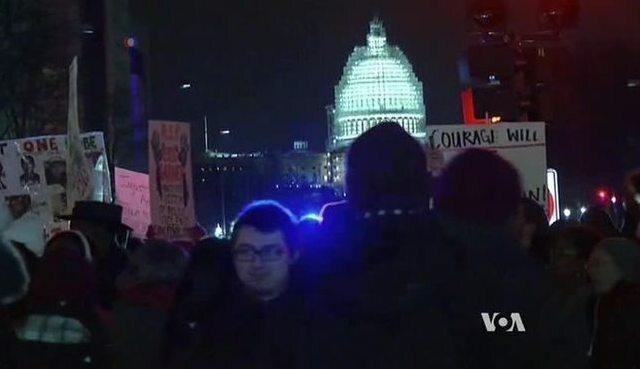 WASHINGTON — In the United States, protests have escalated over grand jury decisions declining to charge white police officers in the deaths of black males in New York and Missouri. The demonstrations – the most widespread and persistent pertaining to race and justice seen in the country in decades – are forcing officials to respond and putting law enforcement under a powerful microscope. “We have to have an honest conversation in this country about a history of racism. An honest conversation about the problem that has caused parents to feel that their children may be in danger in their dynamic ((interactions)) with police, when in fact the police are there to protect them. We have to transcend that,” de Blasio said. “ ‘Do not move suddenly, do not reach for your cell phone’ – because we know, sadly, there is a greater chance it might be misinterpreted if it was a young man of color,” he said. Those comments have drawn the ire of police representatives, who accused the mayor of scape-goating, rather than defending, those who risk their lives to ensure public safety. Grand jury decisions declining criminal prosecution of police officers have grabbed the world’s attention in recent weeks but have been the norm for decades, said James Jacobs, a criminal law professor at New York University. “Police officers have a certain, I think, presumption of legitimacy in the community. It is recognized that they have a very hard job to do,” Jacobs said.